Android-enabled Starbucks mobile payment device. Borrow a friend’s iPhone or iPod Touch. Set up your account and enter your Starbucks card information. Go to the “Cards” screen and click “Touch to Pay”. Email the screenshot to yourself. 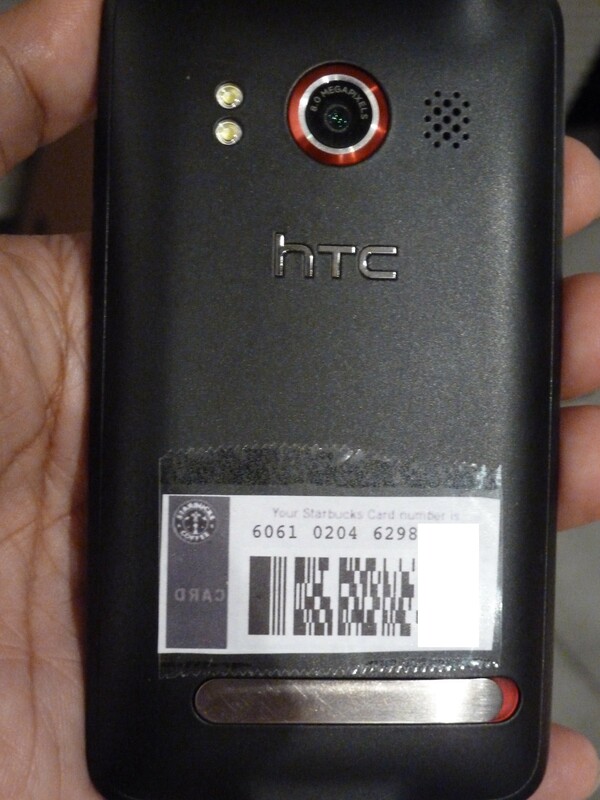 Cut-and-paste (physically) the bar code to the back of your Android phone. It’s even better than the iPhone app: it’s quicker (no need to find and launch the app and click a button) and it works even when the battery is dead. It lacks a lot of features. You can’t find the nearest Starbucks, reload your card or see your transaction history. But for the most common task of paying for coffee, it is the optimal experience. It would be nice if Starbucks stored your preference on whether to print receipts, but that’s an issue with either method. This illustrates one of the key challenges facing mobile payment systems that are emerging: in their desire to get our money, banks and retailers have already made paying for things incredibly simple. Swiping a credit card is just.not.that.hard. Any digital wallet will have to be just as simple. Launching various applications, digging through menus and entering security codes are all steps that add friction to the purchase process. Apple, Google and others entering the NFC/mobile payments game would do well to have standardized interfaces to flip among payment, library, transit and access cards versus having every app developer design interfaces as he sees fit. These could be tied to location — if you’re at Starbucks, the Starbucks card automatically shows up first.